Telecom regulator Trai will stick to its recommended price for spectrum including that for 5G services, its Chairman R S Sharma said after leading telecom operators complained about high base prices for the sale of frequencies. Trai Chairman R S Sharma said that the regulator, however, has recommended various measures to lower levies on the sector to help improve the financial health of stressed operators. “We have given reserve price recommendation and we stand by that. In fact, we have reduced prices of 700 MHz band,” Sharma told reporters here. Bharti Airtel and Vodafone Idea have said that spectrum prices for proposed auction are too high and companies will be unable to participate if radio waves are sold at prices recommended by Trai. The auction is key to start the rollout of 5G services. Bharti Airtel Chairman Sunil Bharti Mittal on Tuesday said that the government needs to extend support to the industry for early 5G rollout by pricing spectrum at a reasonable level. “This is for the government to basically figure out when to auction. It is not our domain,” Sharma said. The Telecom Regulatory Authority of India (Trai) recommended auction of about 8,644 MHz of telecom frequencies, including those for 5G services, at an estimated total base price of Rs 4.9 lakh crore. 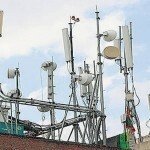 Sharma said that the Department of Telecom has not asked any major question around spectrum pricing. He said that Trai has not yet received any further reference from DoT to explore prices for other spectrum band identified by high level panel for 5G services. Talking about low level of tariffs, Sharma said telecom services rates are under forbearance and it is telecom operators who fix tariffs. “We don’t fix tariff. In fact there was suggestion from telcos sometime back that tariffs are going to rock bottom so you do something around it. They said fix a floor tariff. We did a meeting with operators for about two-and-a-half hours, everybody started asking us not to get into it. If I can’t do floor price then I can’t do. It is for the industry to take a call,” Sharma said. Trai chairman rejected argument around low tariffs resulting in a loss to government revenue. “With regard to government revenue going down, that’s not a great argument to give. It is not public policy imperative of government that consumer should pay higher so that government will get higher revenue,” Sharma said.